My brother Jurica and I compete in the Big Wall Speed Climbing competition since year 2007, with steady progress each year. We missed years 2008 and 2011 because of injury or work, which brings our tally to 5 competitions, with two wins so far. Below you can read a short story of each our year in the competition. Coming second in 2007 – like a win! First year we competed was very interesting, and completely awesome for us. Our climbing mentor (and now a rival) Igor Čorko told us to come and check the competition, and it was a really great thing for both of us since. The team of Igor Čorko&Ljubomir Sakač were unbeatable that year, and our rivals were a pair of Boštjan Potočnik (SLO) and Adnan Čatić (BiH). Back then specific training for BWSC was not in fashion, and especially not for us. We tried the route 2 weekends before the competition, and that was it – ready we were! We were young and crazy, and just went for it! We managed to win the second place, and it blew us away – it was our first podium in sport of climbing! This year I was not in shape at all, and in spite of offers from better climbers to compete with them, Jurica denied them all and remained true to what has now become more a story of brotherhood than climbing or competing. We managed to climb the route few times before the competition day, and that was it for training that year. While not prepared so well, we did manage to improve our time by more than 8 minutes, and finished fourth. It was then that motivation for victory was fueled for the first time. This was the year we really wanted to win. 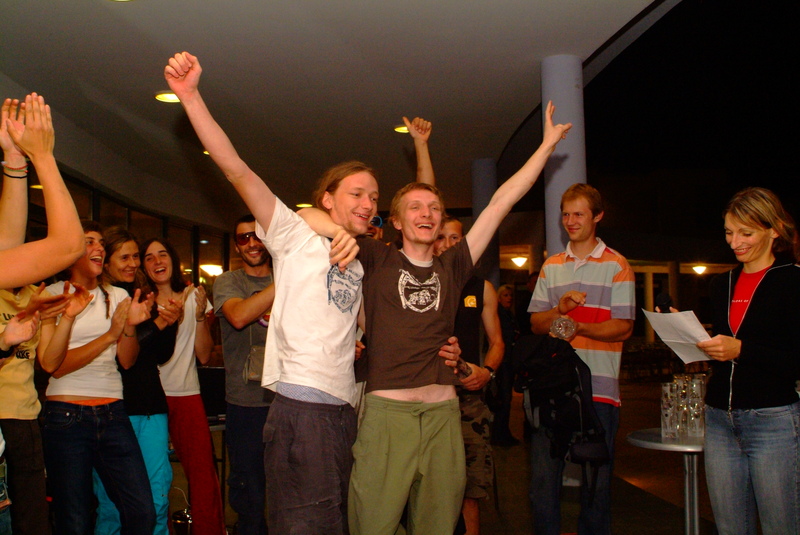 The mighty Čorko&Sakač team stopped competing after setting the record a year before (at 21:23). We added some running to training a month before, and we came to Paklenica 10 days before the competition to train in the route itself. While this could be called specific training, we did not stop normal climbing, but just added some additional speed training, and it was all more ad hoc than not – we did not even use a stopwatch! 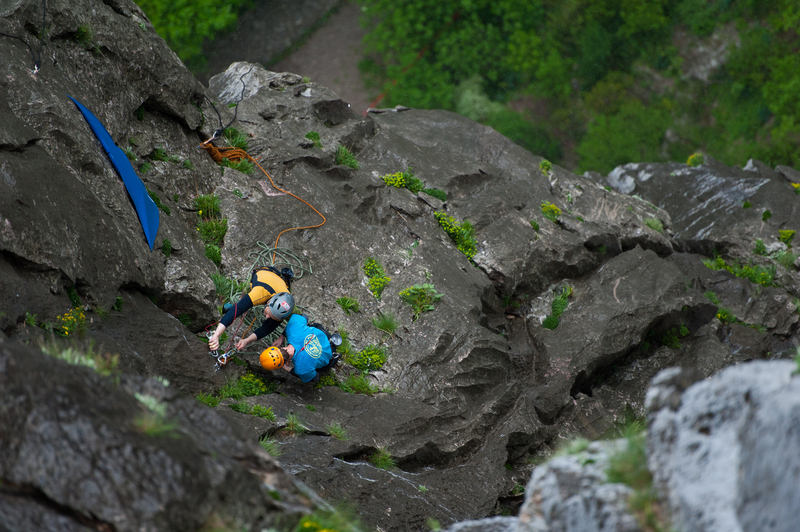 The slovenian climbing brothers Bečan decided to mess with our plans. Being pro climbers, they managed to beat us by just 11 seconds with very little training. Our time was better than theirs all the way until the last pitch, where our stamina gave out and we lost a minute of advantage we had. We did not win that year – but seed of proper training was planted. This year was ours – and we made sure of it in training long before the competition day. We decided to win, but we also decided to prepare to win, with the latter being all the difference needed. We started very specific training two months before the competition and stopped normal climbing – all our time was dedicated to speed climbing. Finally – victory in the bag! 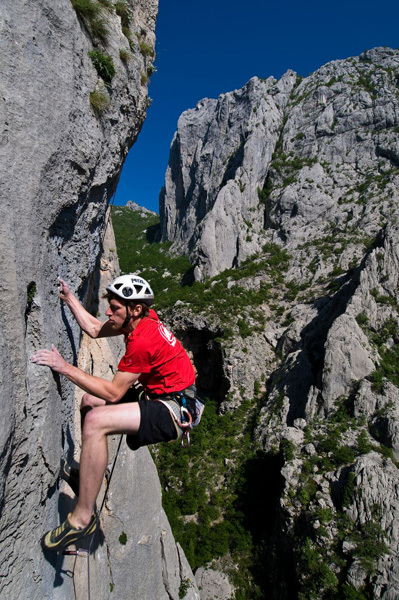 We compiled some very specific uphill sprinting exercises, trained speed climbing at local crags, we visited Paklenica three times before the competition and did some mental preparations as well. 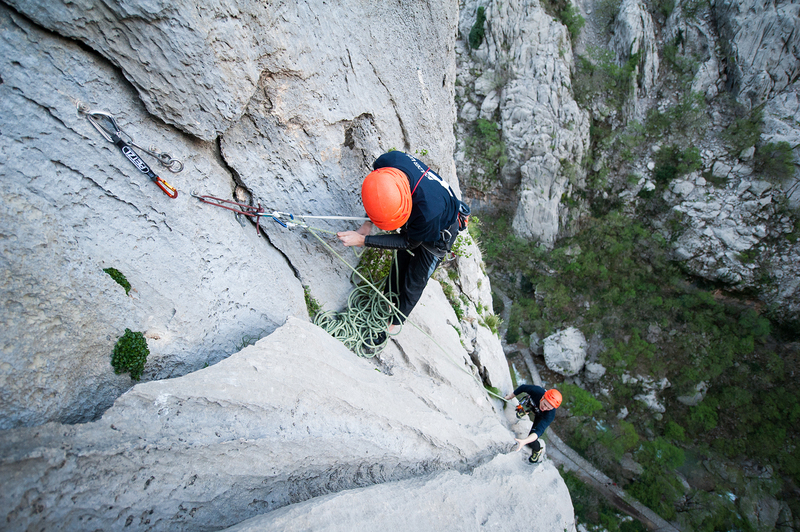 We arrived in Paklenica 10 days before the competition to climb only the BWSC route. We sacrificed normal climbing completely – that year Jurica was very, very close on his first 8b+ climb (he was falling on the last move), but stopped it and devoted himself completely to BWSC. With all the preparations the stage was set for speed. With 23:00 time in training, we knew the record was in danger. Come competition day, we climbed composed and with good rhytm, and managed a time of 20:49 – both first win and record in one year. We were ecstatic, but certainly not done with BWSC! This year we were back with one more goal left – climbing the route below the magical 20 minutes mark. We started with specific training about 6 weeks before (Jurica again left his infamous first 8b+ unclimbed), but that year the preparations went downhill almost from day one. Our trips to Paklenica were plagued by heavy rain from the start, Jurica was moving to Ljubljana at the time of the preparations, and I was overwhelmed with work. On top of that, we both got sick when we arrived for the 10 days of training in Paklenica. To make things worse, on competition day it started to rain just minutes before it was our turn to climb. We were given a choice to either go for it now, or wait for a reserve day on Sunday. Since all went downhill this year, we said to ourselves “F**k it”, and went for it. We climbed the last two pitches completely wet (see picture), and still managed a respectable time of 27:02. Again – won but not done. This is bound to be the most interesting and most competitive year since we compete. Čorko is back with the super strong Mucko, Pevec and Škalec team are training around the clock, and we invested more time than ever in this competition. We are training specifically for BWSC from January, with a very sophisticated and planned approach, and we are now close to the end of 15 days of route specific preparations in Paklenica. Luckily, Jurica sent his 8b+ project, so we are at peace with speed climbing!